In this collaboration we partnered with 516 Arts and Andrea Polli/University of New Mexico in Albuquerque. We developed STEM+ Arts educational materials and designed exciting art, science and technology youth programs for 6-12th grade students and teachers as part of Education Day of the ISEA2012: Machine Wilderness event September 23, 2012 in Albuquerque, New Mexico. 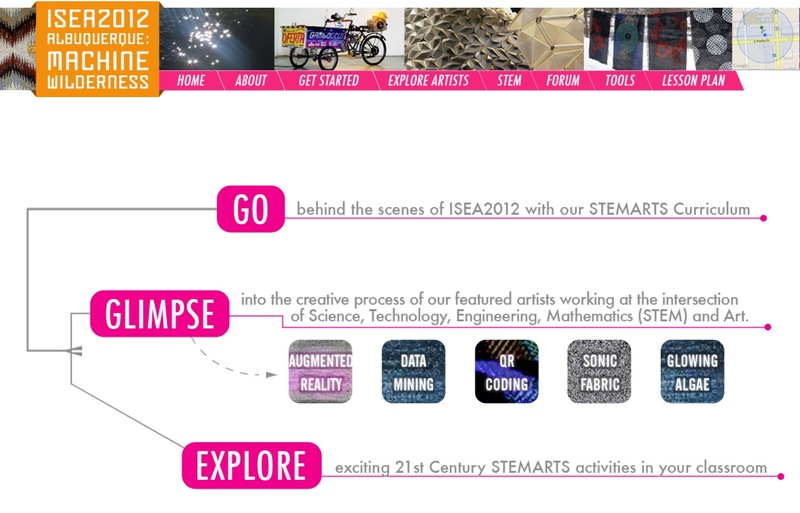 The ISEA2012 STEMartsCurriculum Tool was created for the conference and is still available for use in schools as a free resource.